Gratitude is the direct route to happiness. Take the time to Thank three people today. Three people you take for granted. Bonus points if you do it with a smile. Extra bonus points if you give one of them a little gift. 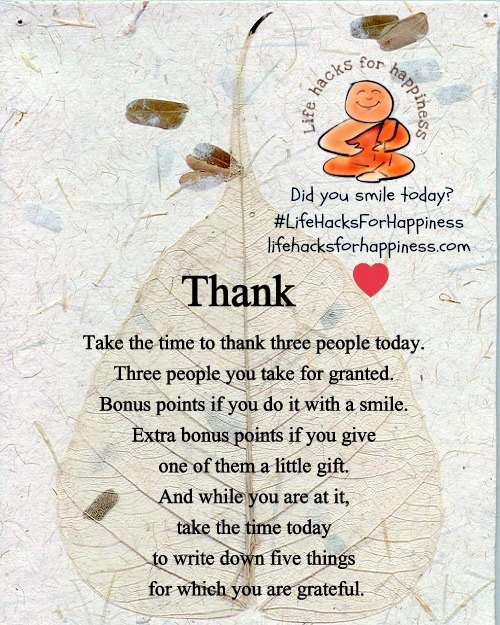 And while you are at it, take the time today to write down five things for which you are grateful. T is for Thank, naturally!